The Motley Fool Canada » Investing » What Is the Outlook for Gold in 2019? What Is the Outlook for Gold in 2019? Gold has rallied sharply in recent weeks to see the yellow metal trading at over US$1,275 per ounce, and there are signs that firmer prices are here to stay. Growing market volatility, rising geopolitical risk, and fears of an economic downturn going into 2019 have all helped to push the yellow metal higher. Not even a stronger U.S. dollar nor higher interest rates, which are typically bad for the yellow metal, have worked to suppress its price. Some analysts are now claiming that 2019 will see the start of a new bull market for gold, and this will be a boon for gold miners with the performance of many weighed down by weaker gold during the second half of 2018. One miner that has performed especially well, gaining 73% for the year to date, is Kirkland Lake Gold (TSX:KL)(NYSE:KL). While traditional fundamental indicators hint that gold will soften, there are signs that the yellow metal could rally further and break through the US$1,300 barrier. Typically, a stronger U.S. economy, higher interest rates, and a firmer dollar all point to weaker gold. A stronger dollar is bad news for gold, because it makes it more expensive for buyers using other currencies to acquire the yellow metal, thereby causing demand to fall. There are signs that the dollar is poised to appreciate further. The Fed increased the headline rate to 2.5% in late December 2018 and announced that it plans two more hikes in 2019, which will likely cause the dollar to appreciate further, placing greater pressure on commodity prices and gold. You see, higher interest rates drive up the value of the dollar, because they attract greater foreign investment, as investors flock to U.S. government securities, increasing demand for the currency. They also decrease the attractiveness of gold as an investment, because higher rates increase the opportunity cost of holding a non-income-producing investment like gold, while boosting the attractiveness of bonds and other fixed-income investments. There is, however, very little data that shows any direct correlation between rising rates and weaker gold. In fact, regardless of the latest rate hike, gold has rallied sharply, gaining 5% over the last month alone. This can be attributed to growing market jitters over the health of the economy, fears of a trade war between the U.S. and China, Trump’s erratic policy, a slowing China, and a developing crisis in emerging markets. 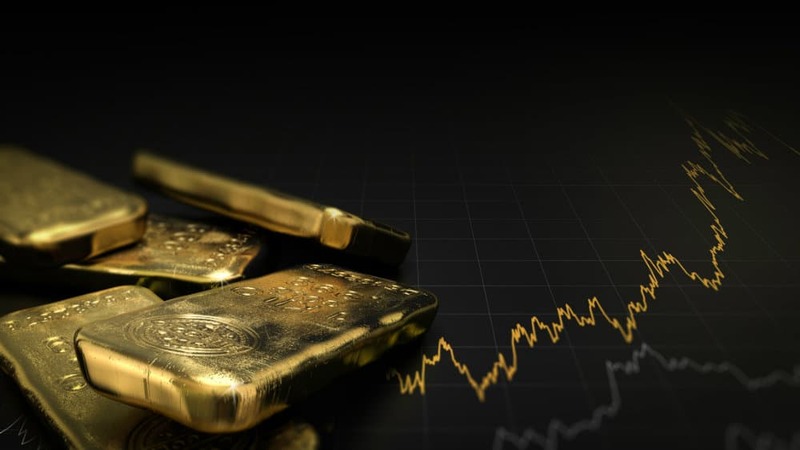 For as long as growing volatility and uncertainty exist, demand for gold will remain firm as investors seek to hedge against a financial calamity triggered by emerging economic and geopolitical risks. Higher gold will be a boon for Kirkland Lake, which has proven that it is a best-of-breed miner. For the third quarter 2018, the miner announced record quarterly gold production of 180,155 ounces, which was 30% greater than a year earlier. This solid production growth can be attributed to the quality of Kirkland Lake’s flagship Australian Fosterville mine, where ongoing development work is bolstering ore grades and the volume of ore processed. The strong operational performance of Fosterville saw the miner recently revise its consolidated 2018 production guidance upwards to 655,000-670,000 gold ounces. Kirkland Lake also anticipates that 2019 production will be 740,000-800,000 gold ounces with all-in sustaining costs (AISCs) of US$630-680 per ounces sold. Such strong near-term production growth coupled with low AISCs highlight Kirkland Lake’s considerable profitability in an operating environment where gold is trading at over US$1,270 per ounce and continues to rise. That means the miner’s earnings will keep expanding at a rapid clip, which will give its stock a healthy lift. Because of the ongoing improvement in its operations and higher earnings, earlier this month Kirkland Lake hiked its dividend by 33% to $0.04 per share, giving it a yield of around 0.05%. For these reasons, Kirkland Lake is one of the best mining stocks to take advantage of higher gold and hedge against the risk of another economic downturn.